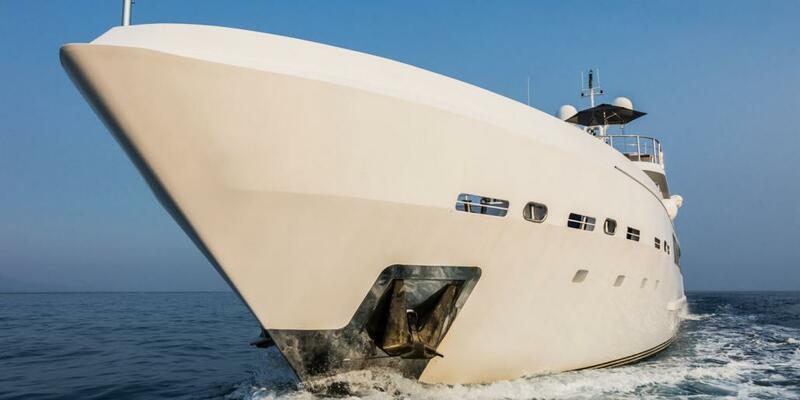 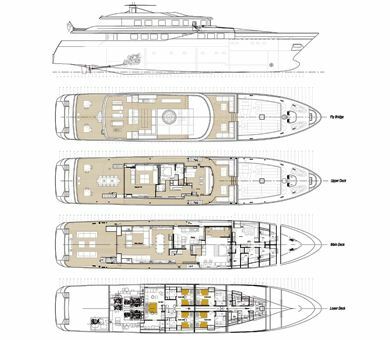 Motor yacht R23 (ex OUT, ICE) is a 49.00m (160' 9") long AMTEC luxury yacht which was launched in 2002, while in 2019 received a complete extensive refit. 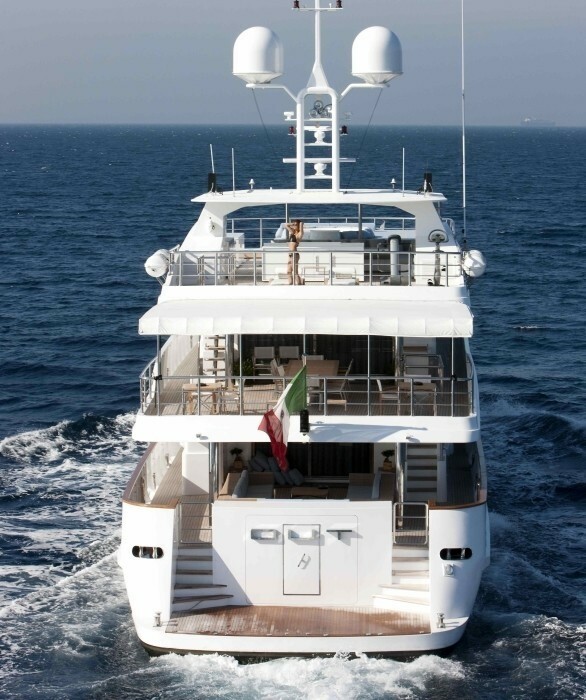 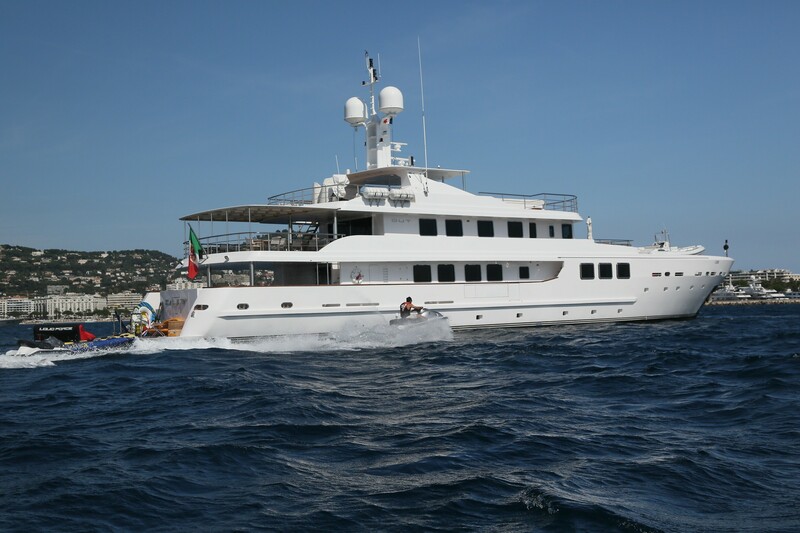 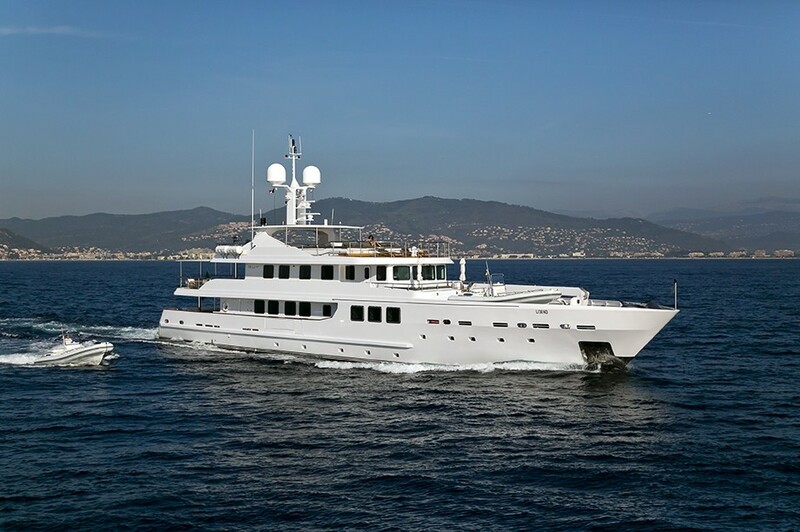 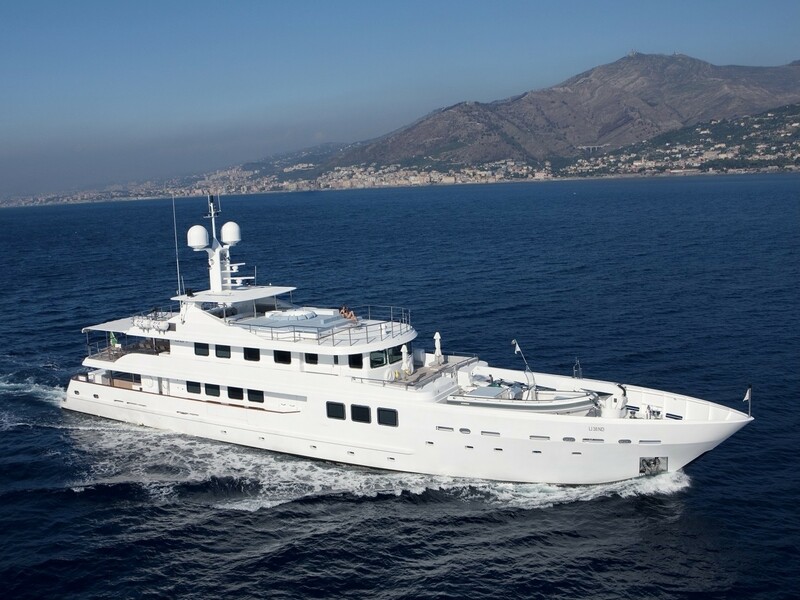 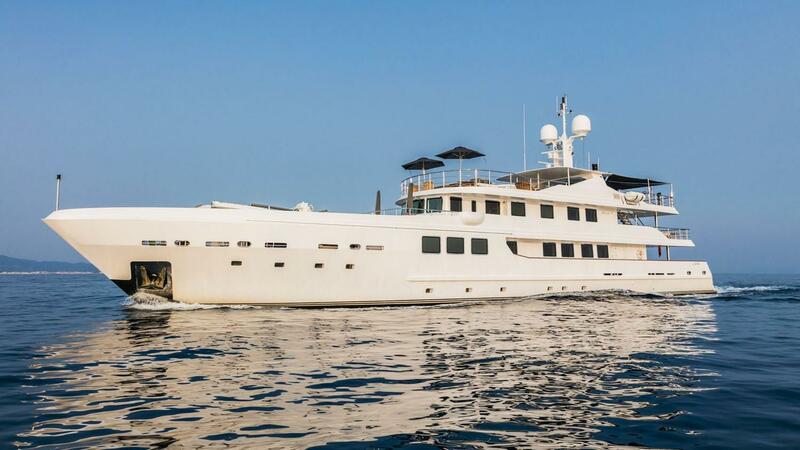 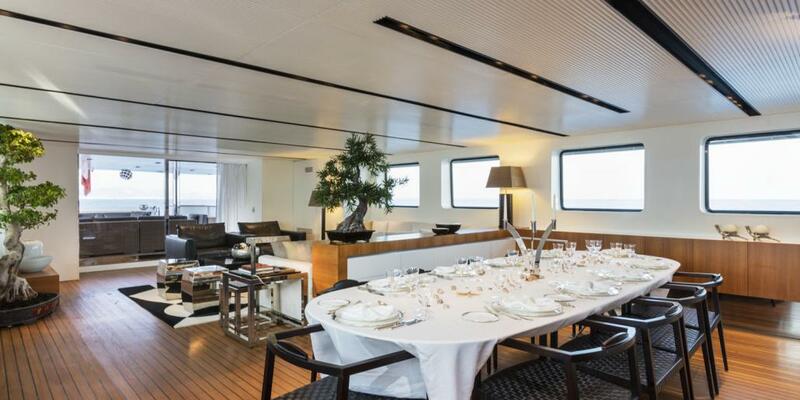 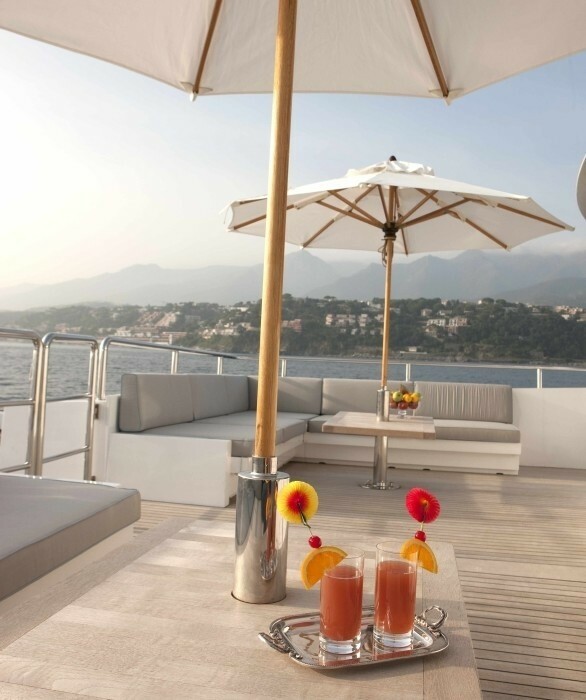 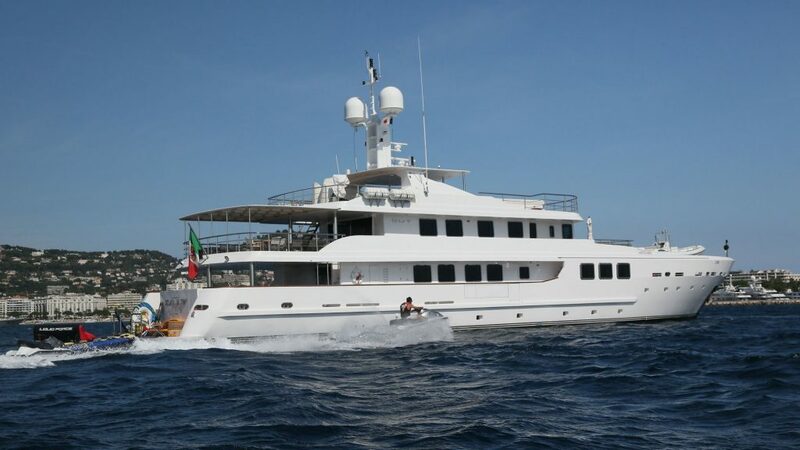 She is available for luxury yacht charters for up to 12 guests in 6 cabins and has a crew of 12 on board. 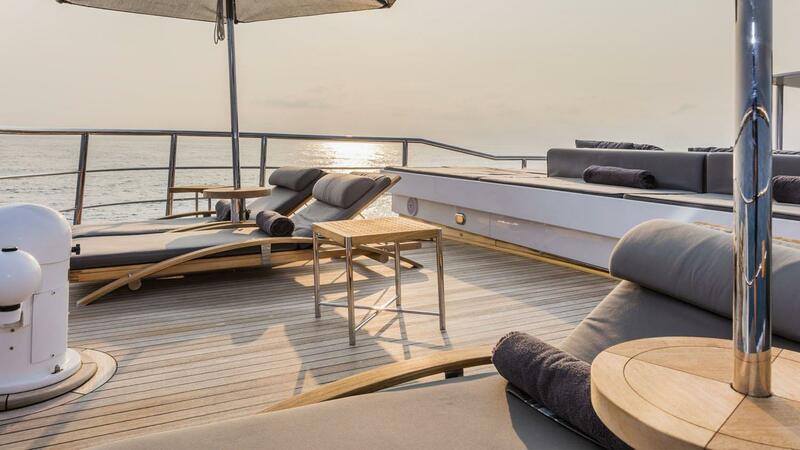 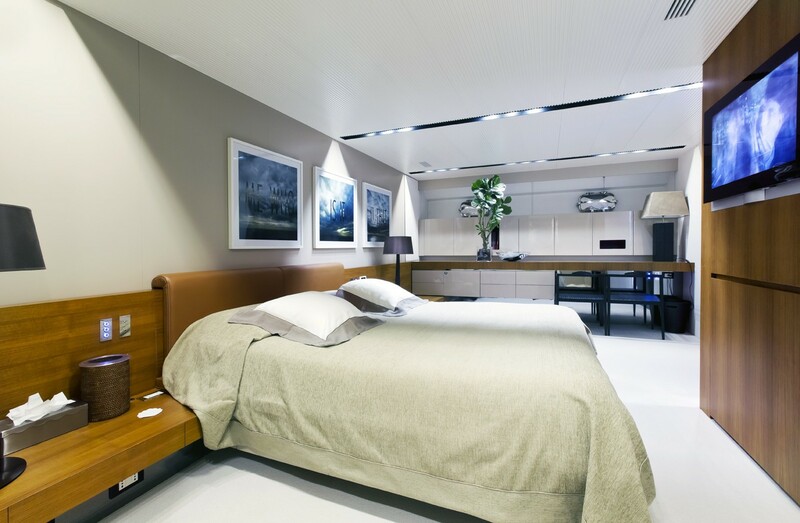 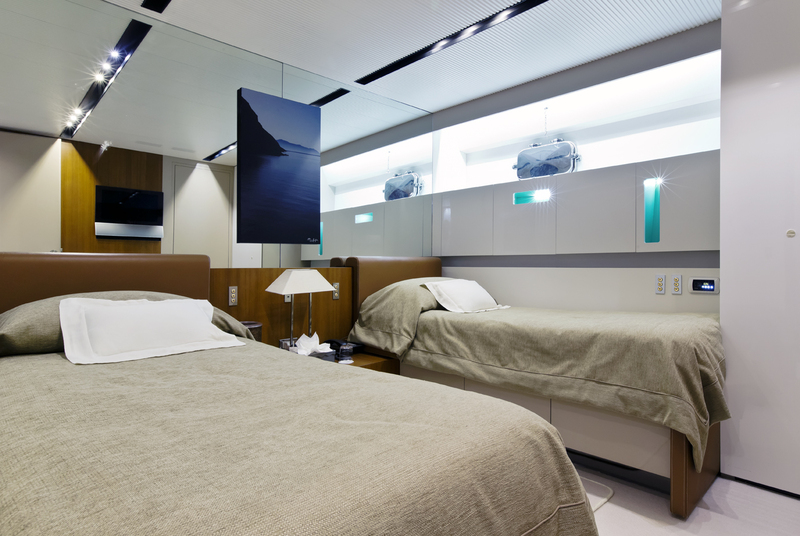 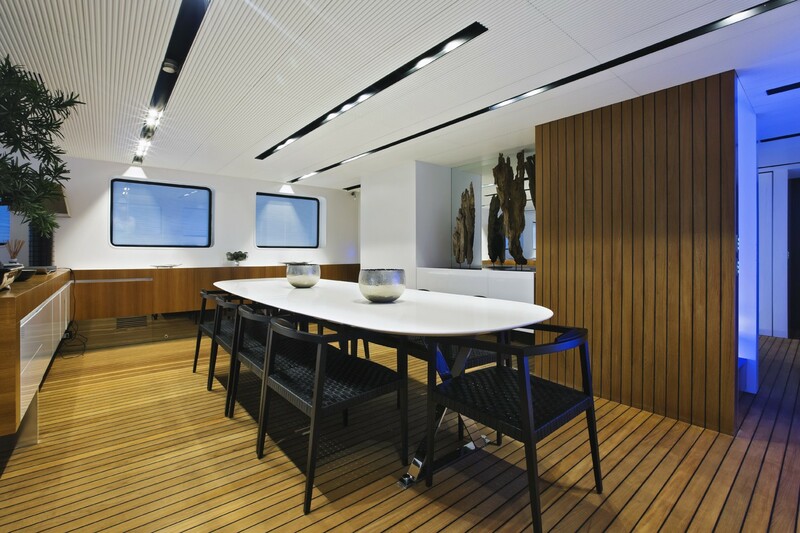 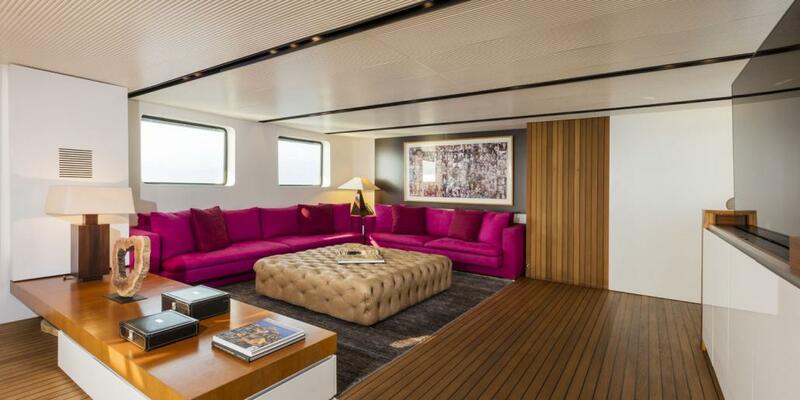 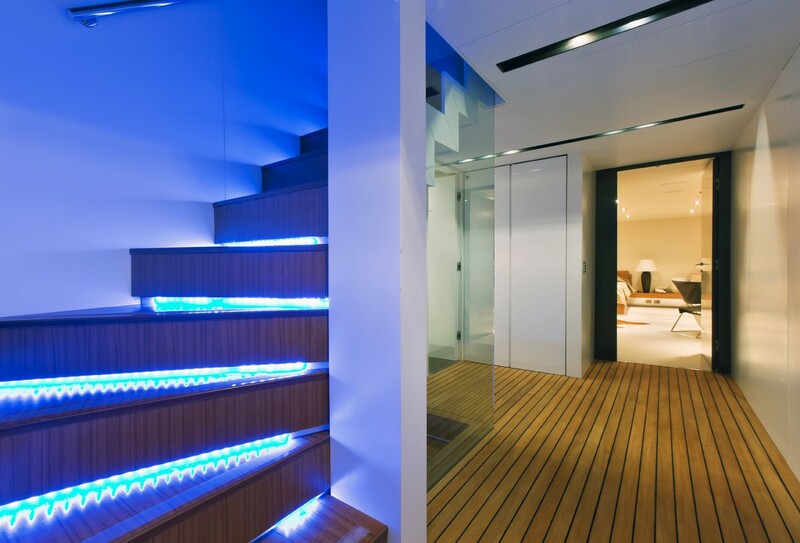 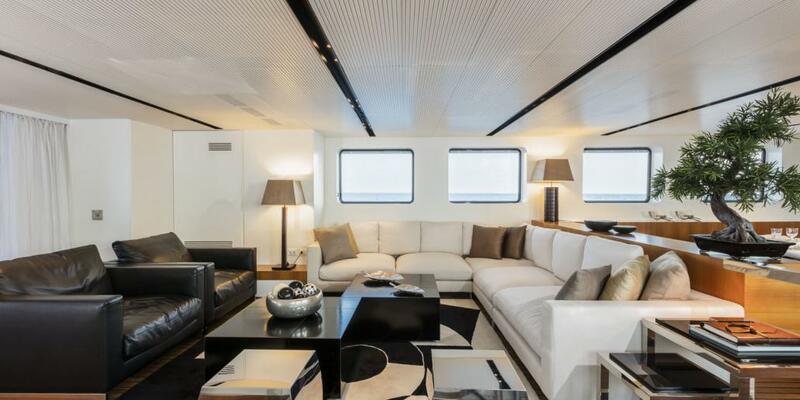 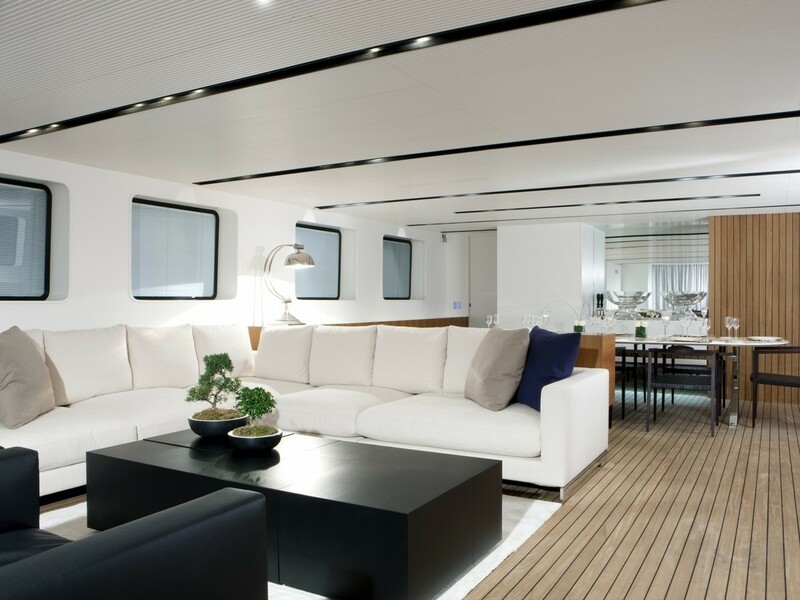 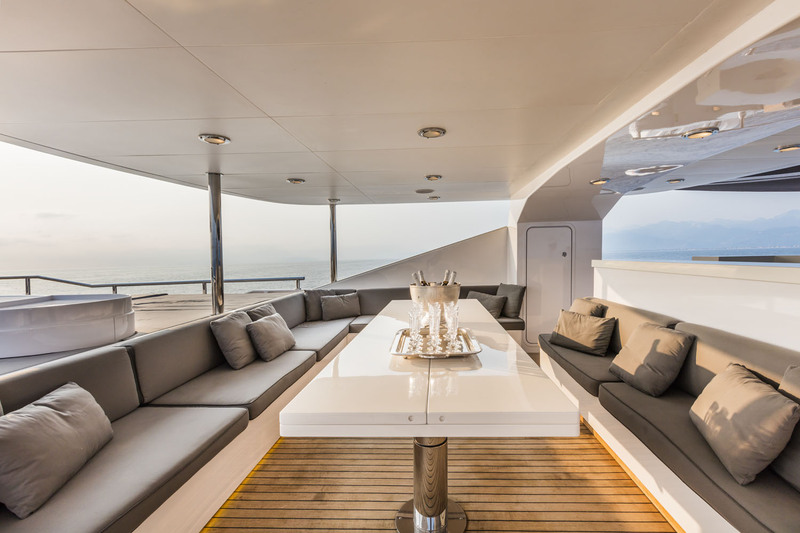 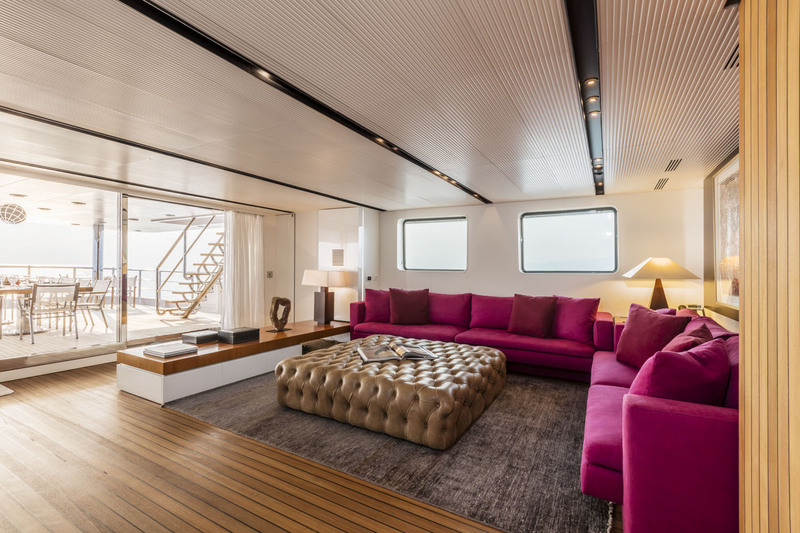 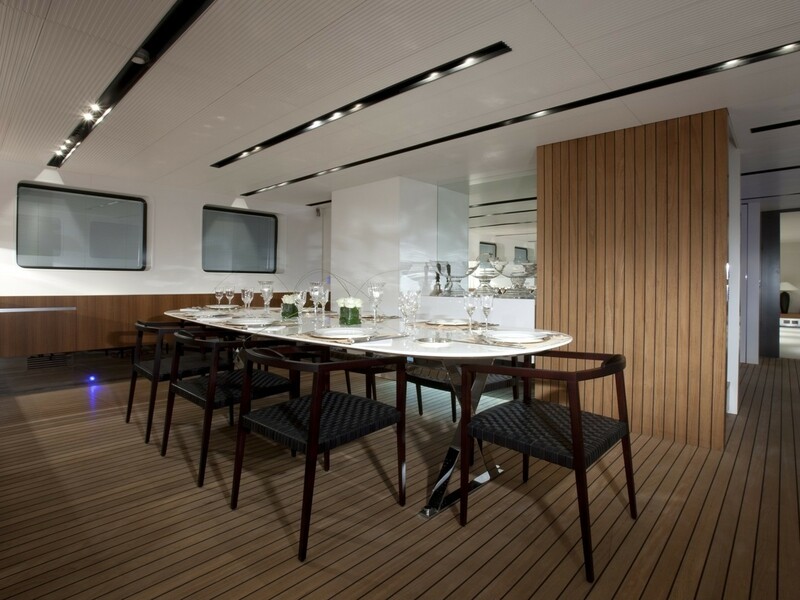 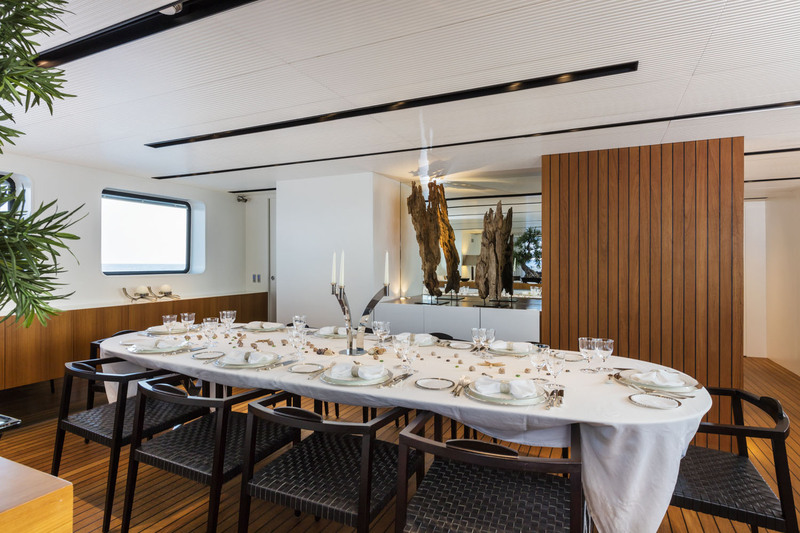 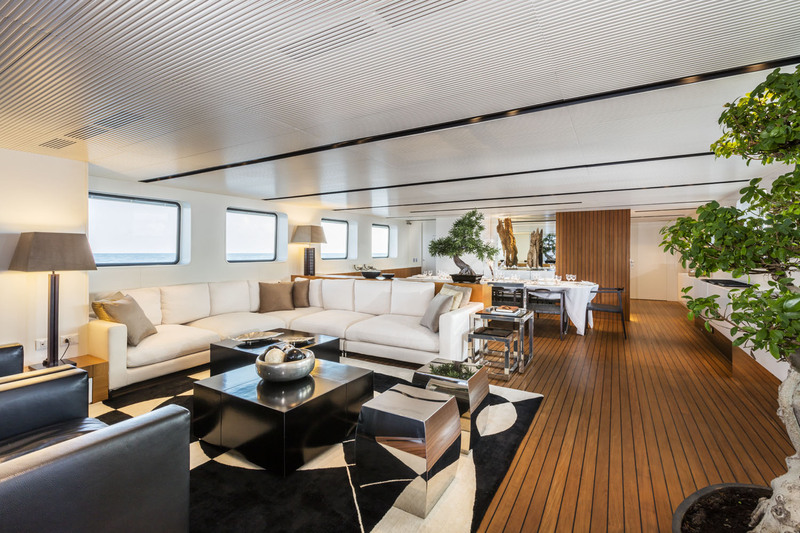 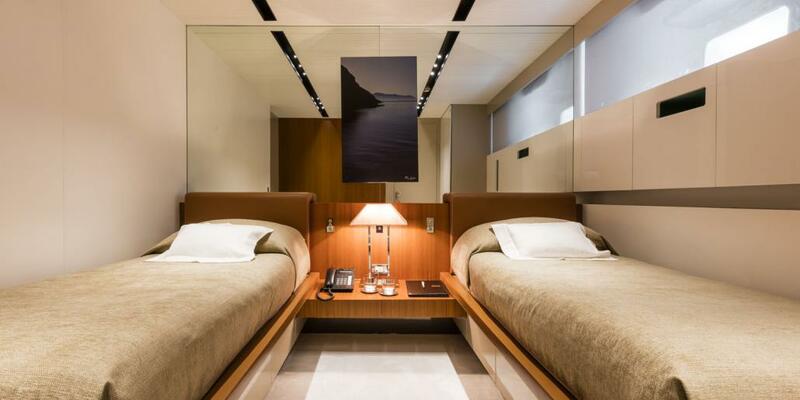 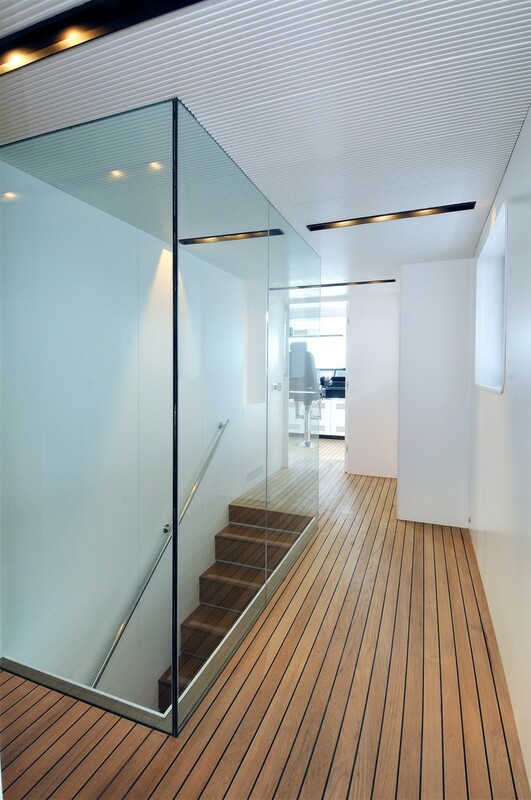 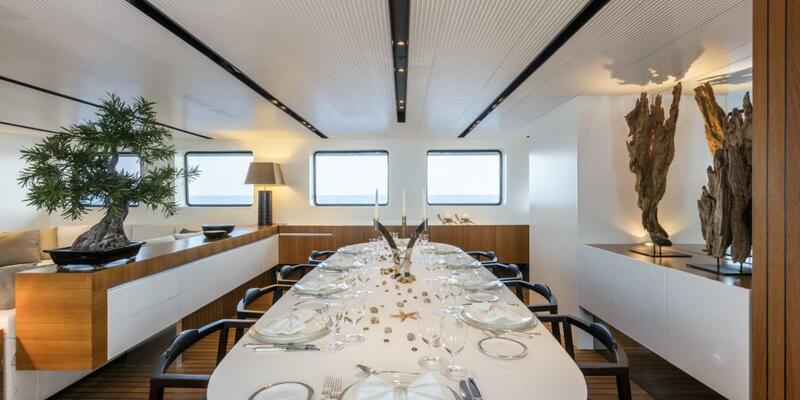 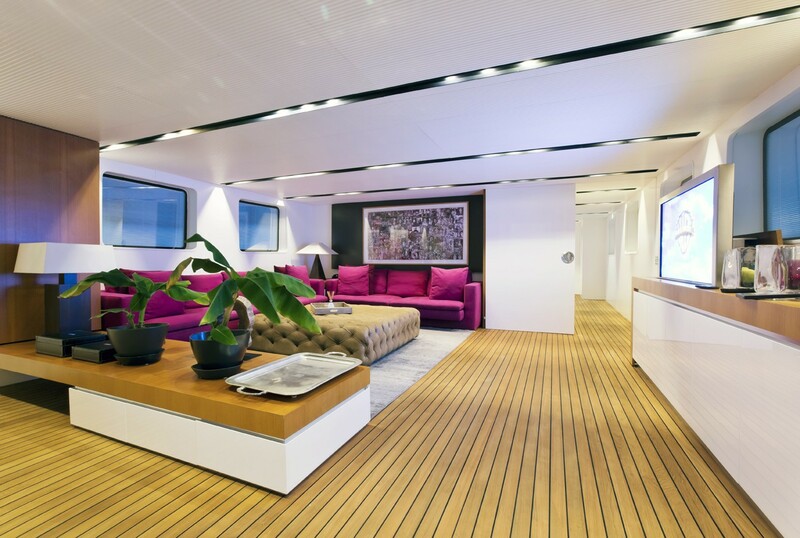 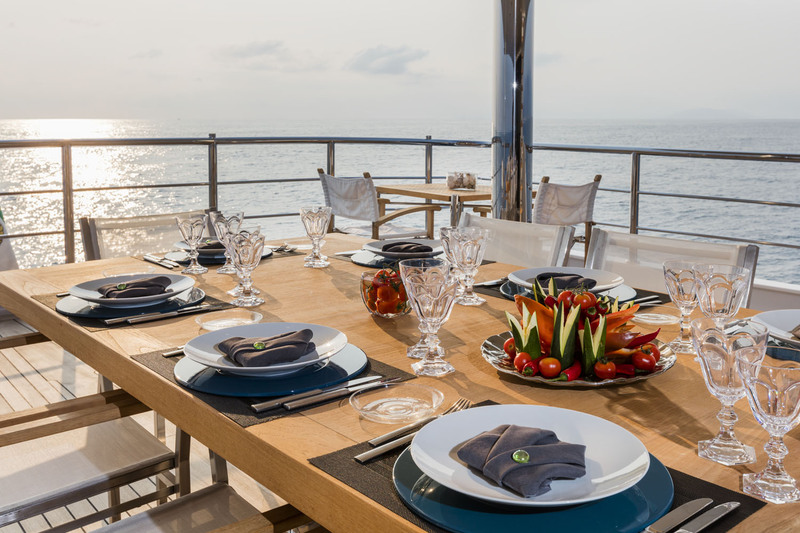 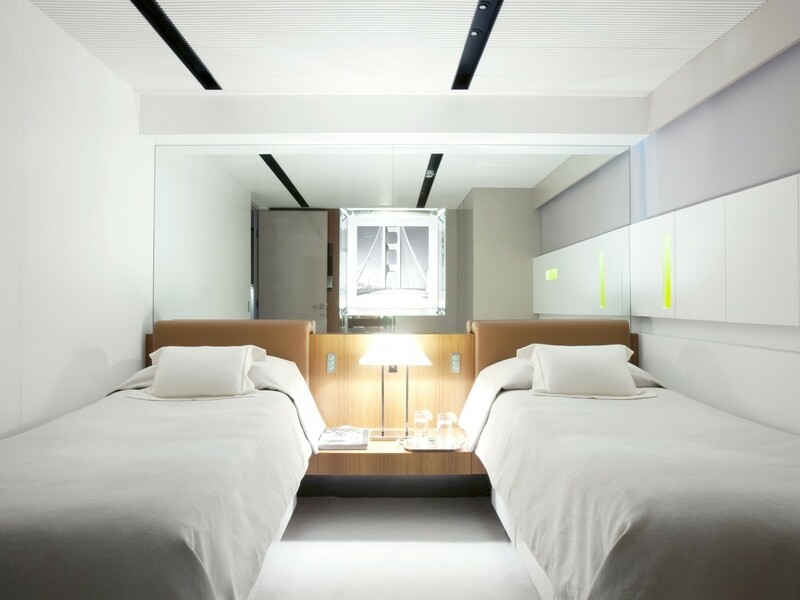 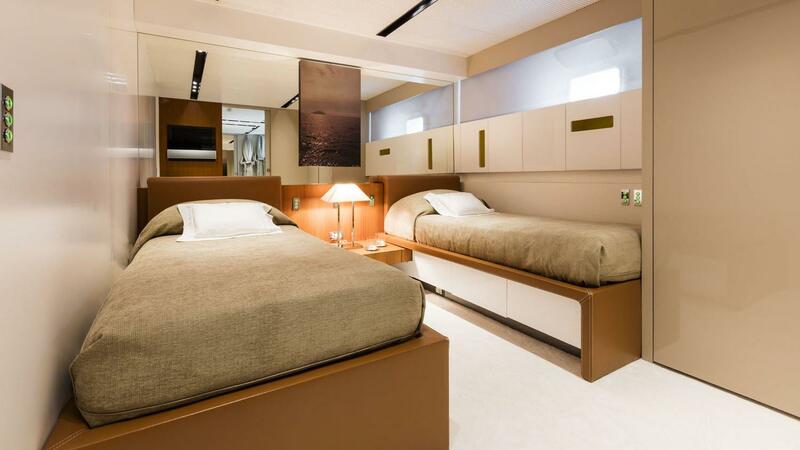 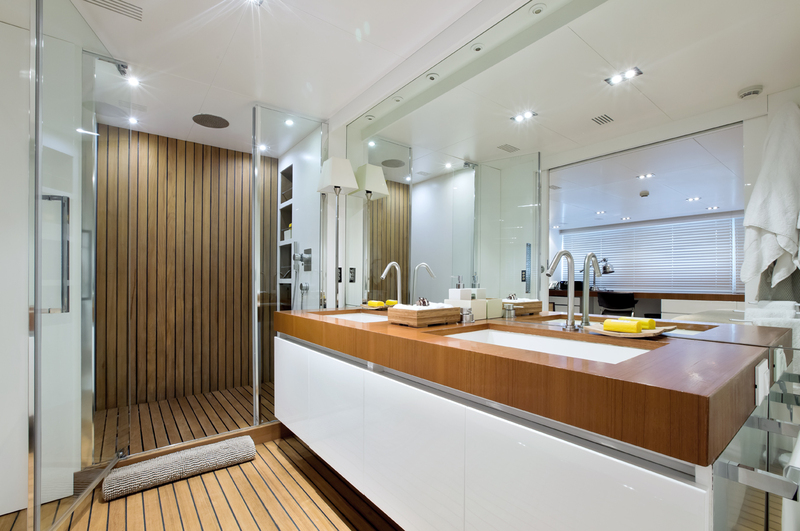 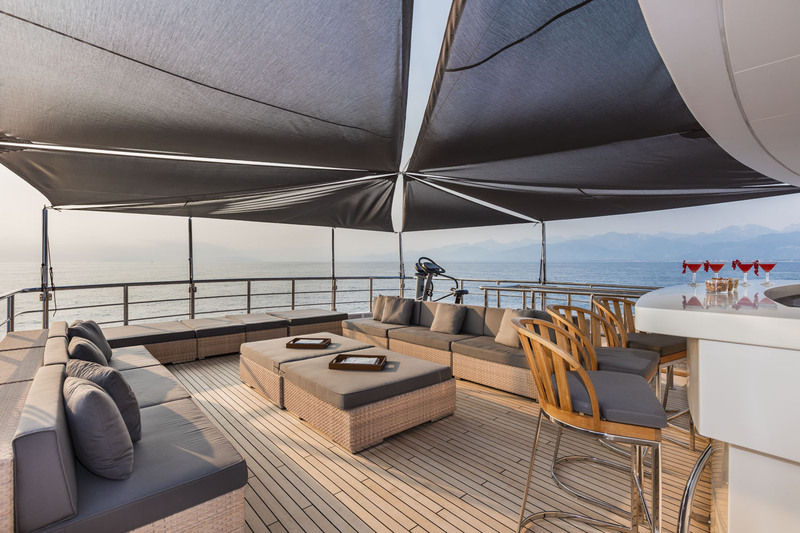 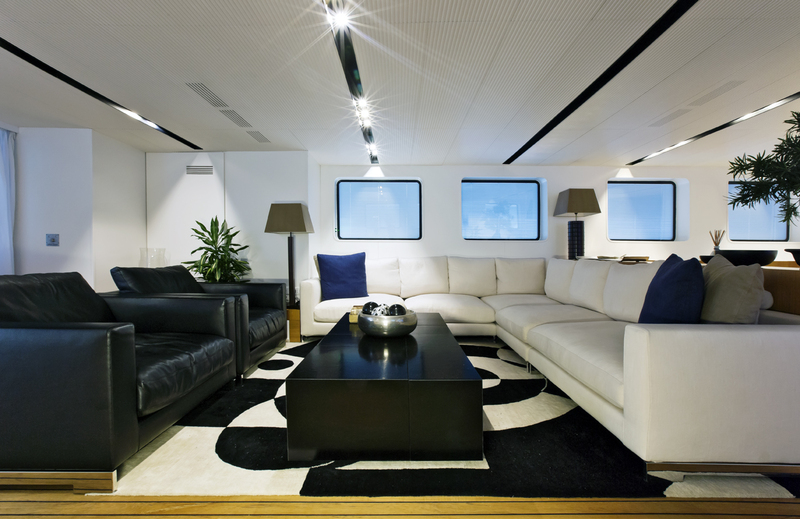 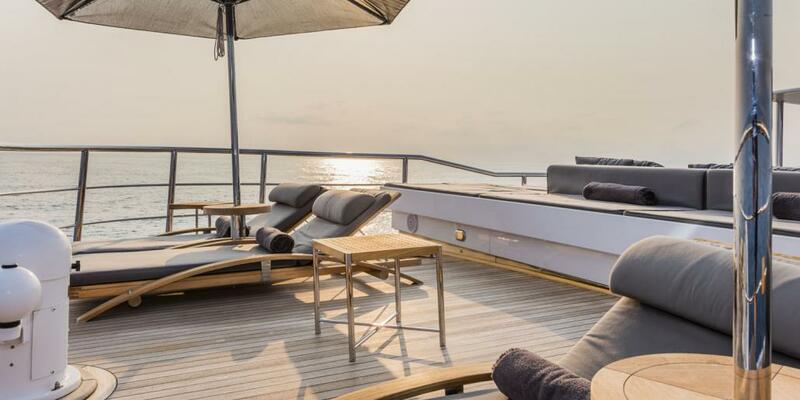 Salvagni Architetti has produced a fresh and contemporary new yacht interior which features designer furniture by Poltrona Frau. 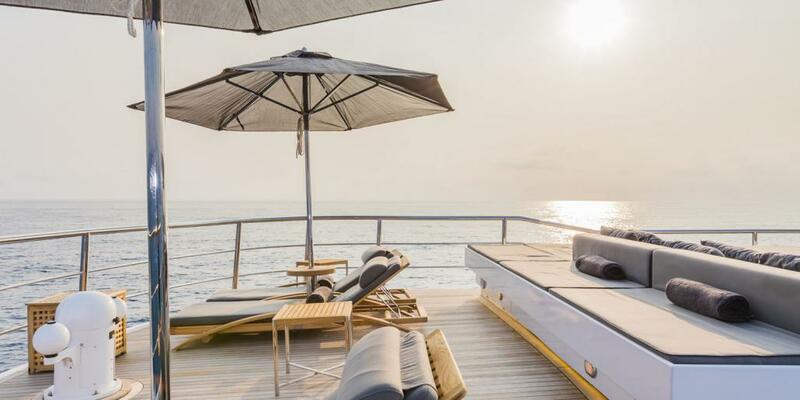 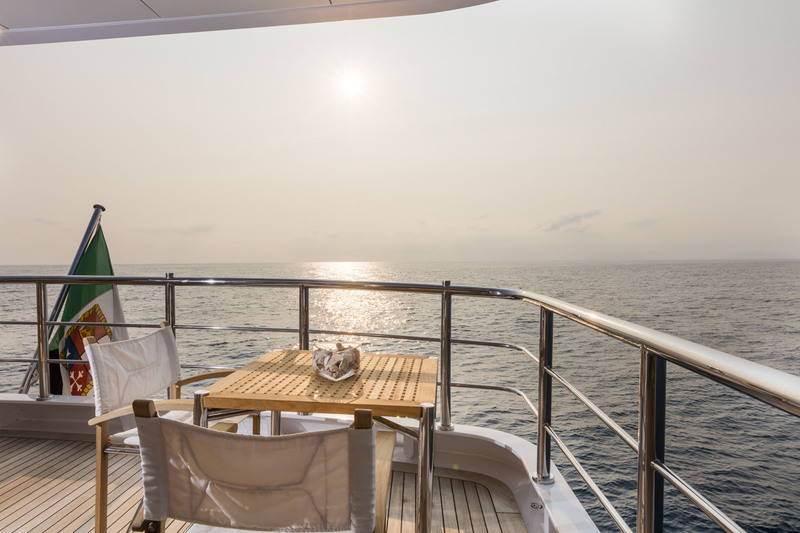 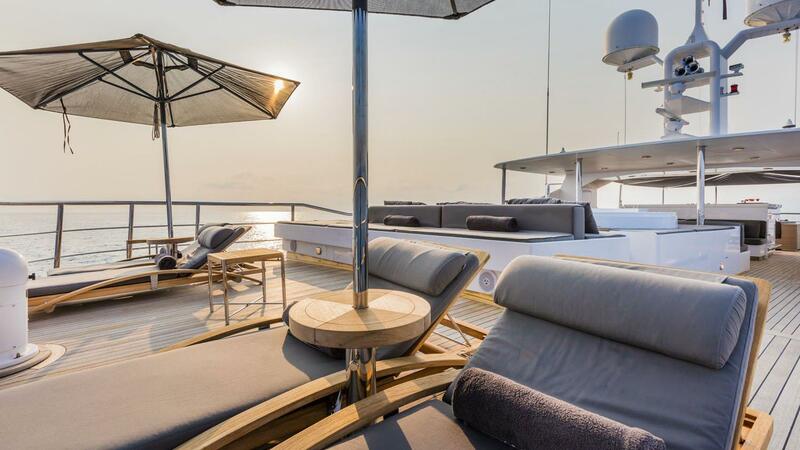 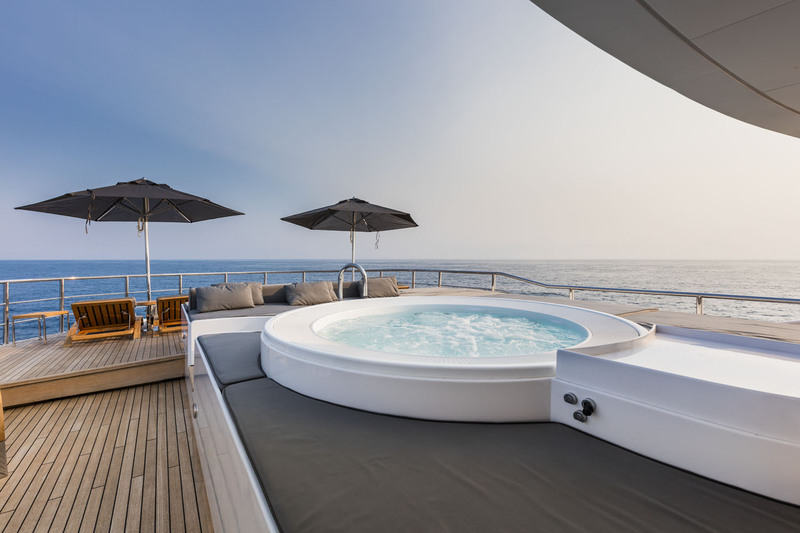 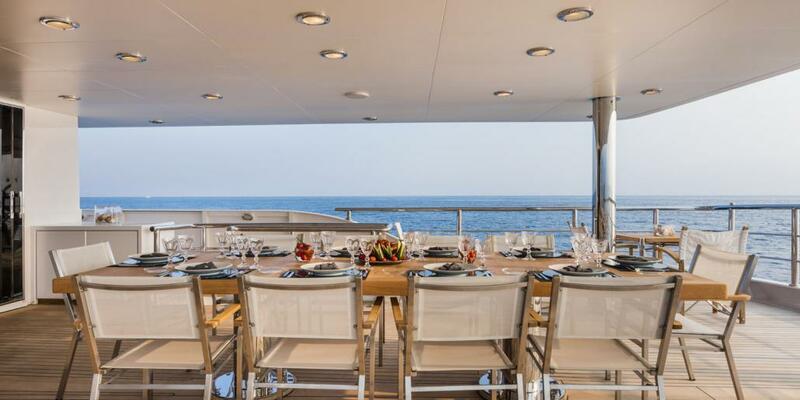 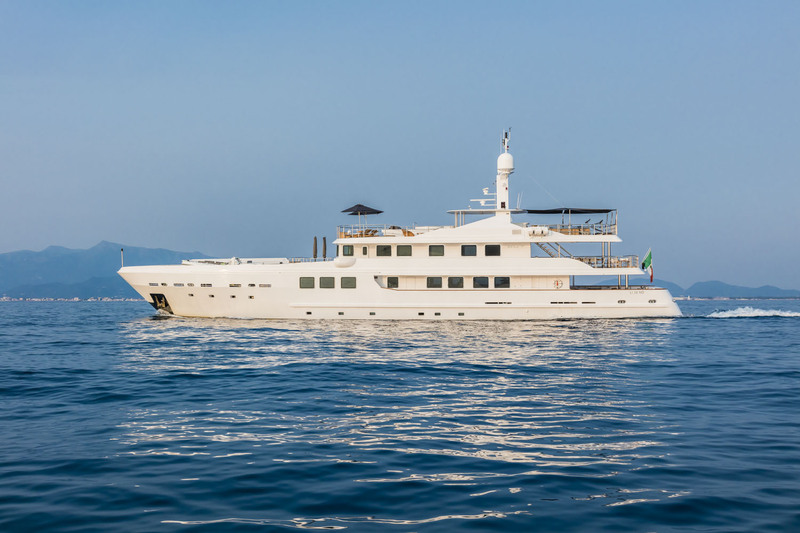 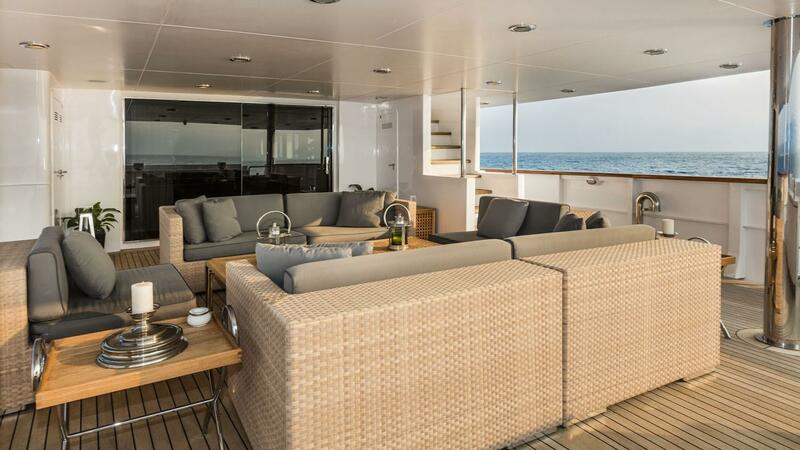 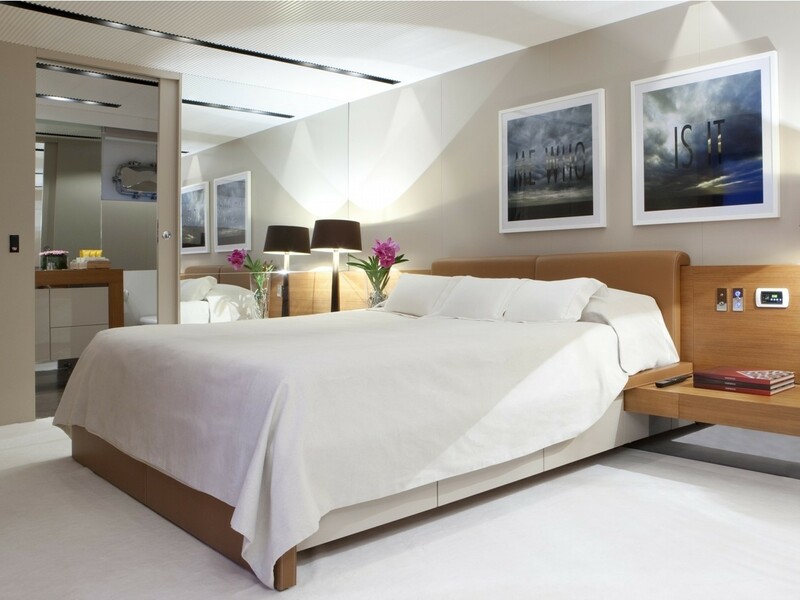 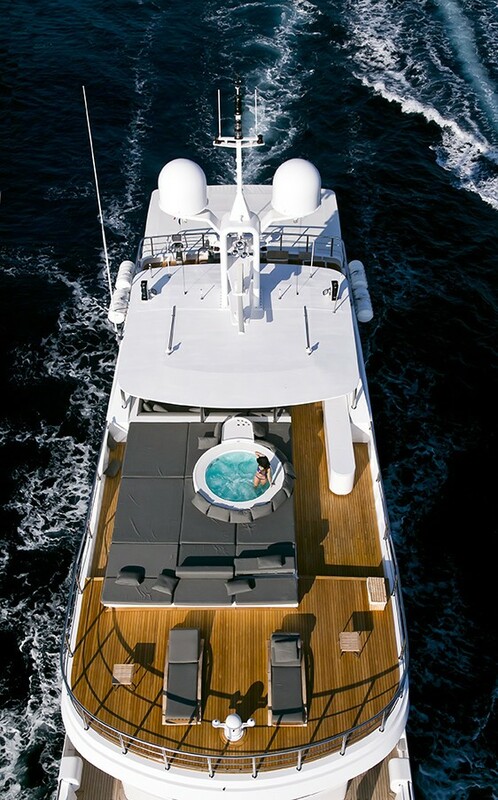 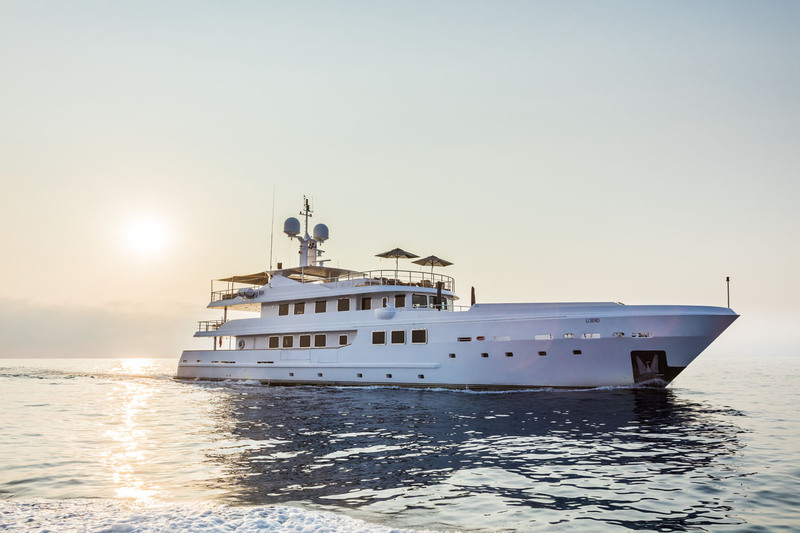 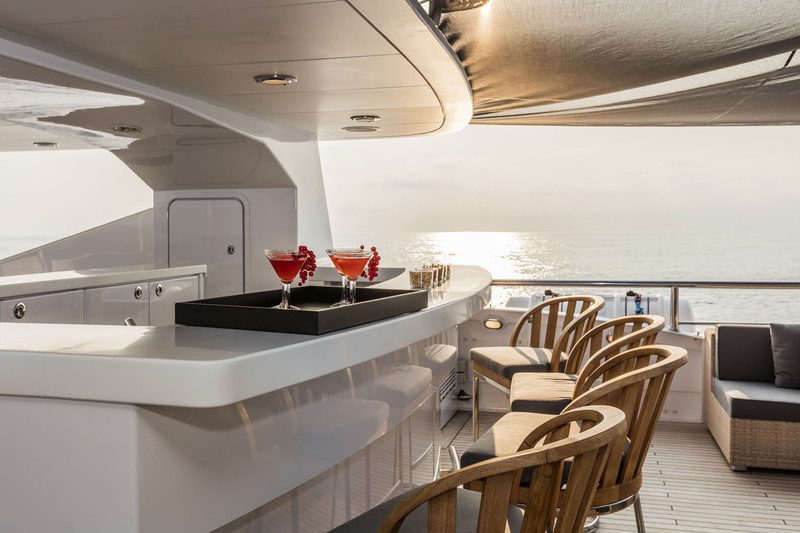 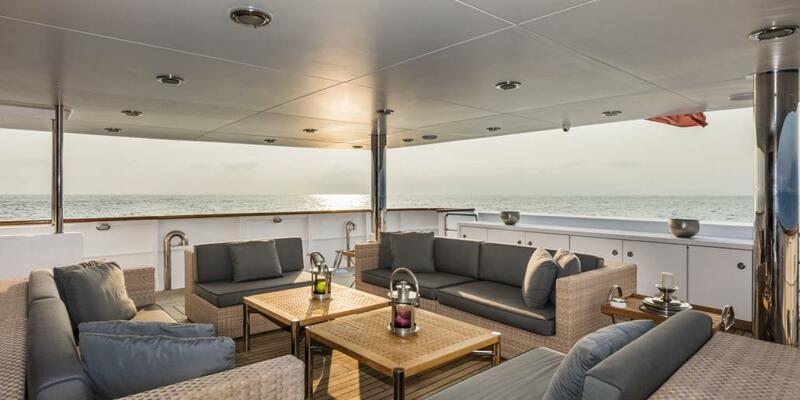 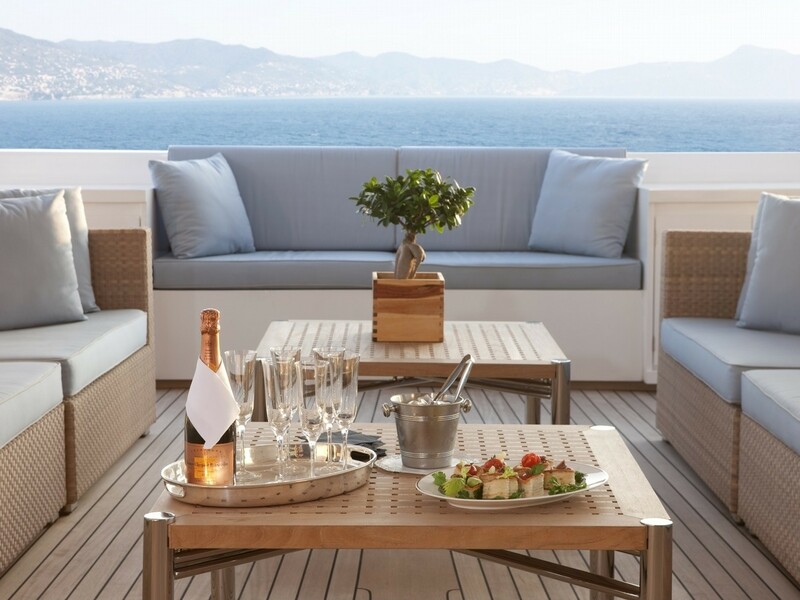 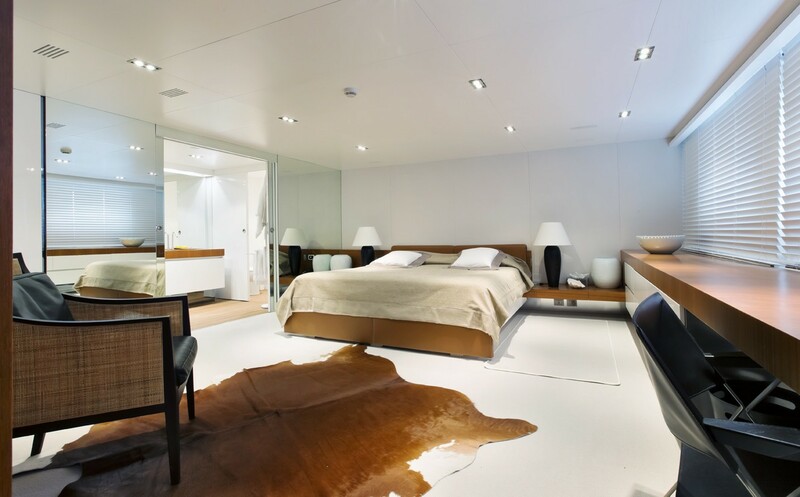 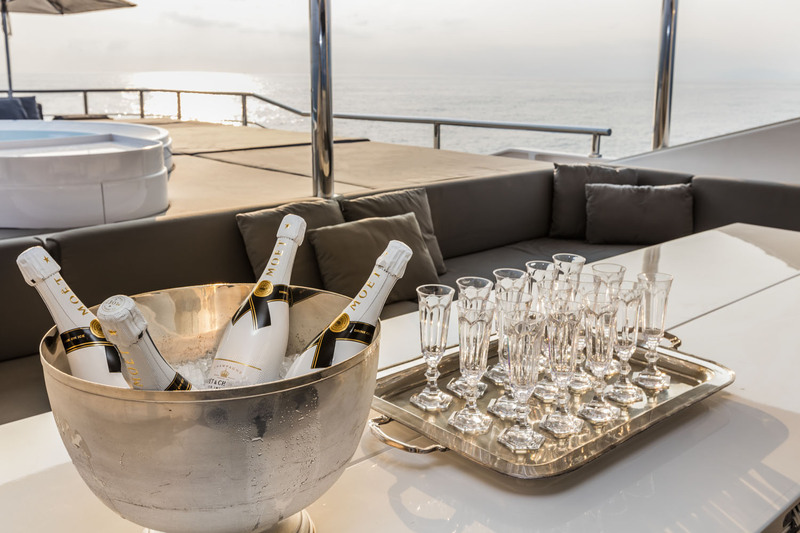 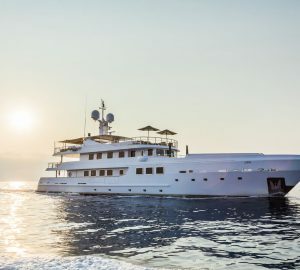 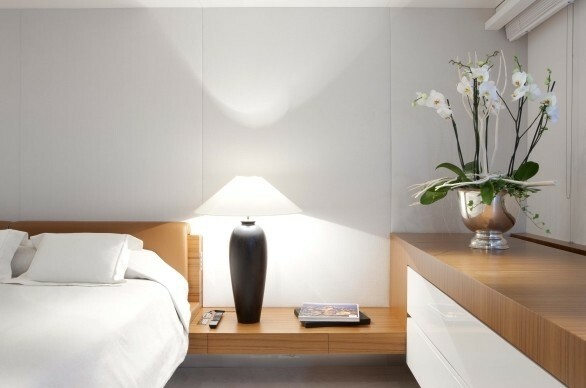 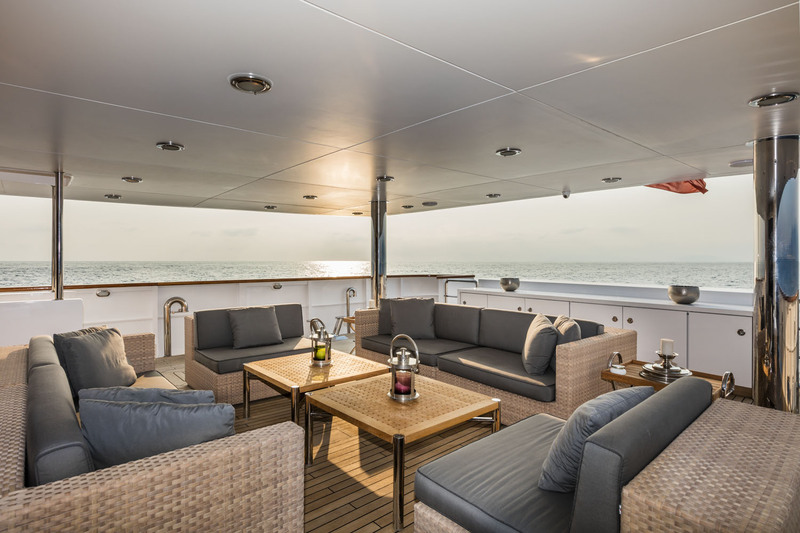 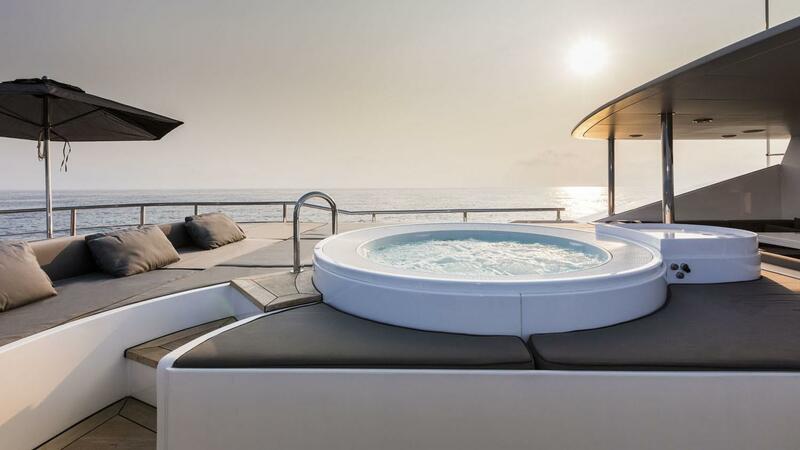 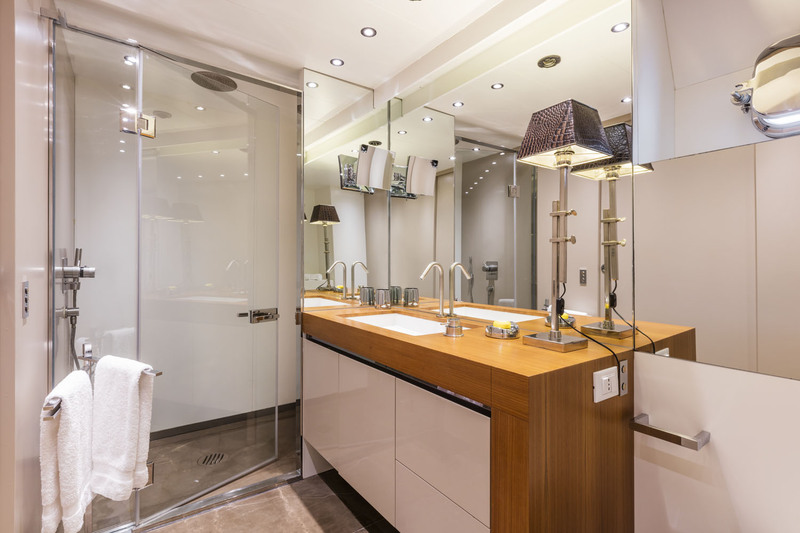 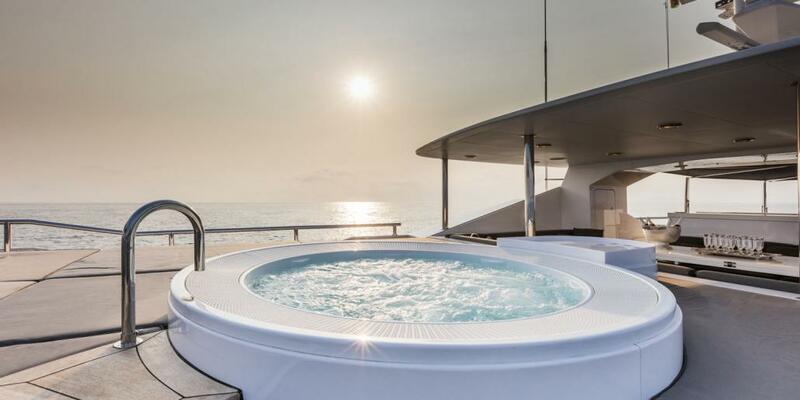 The luxury yacht’s charter accommodation includes a large master stateroom situated up on the main deck, as well as a large VIP cabin and four twin cabins on the lower deck - two of which are convertible to doubles. 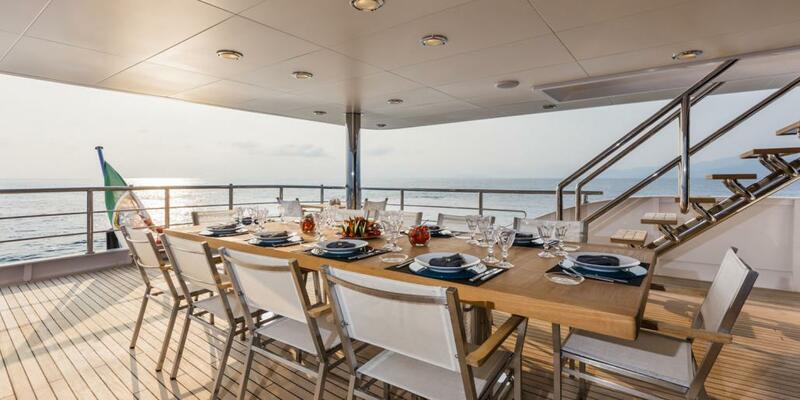 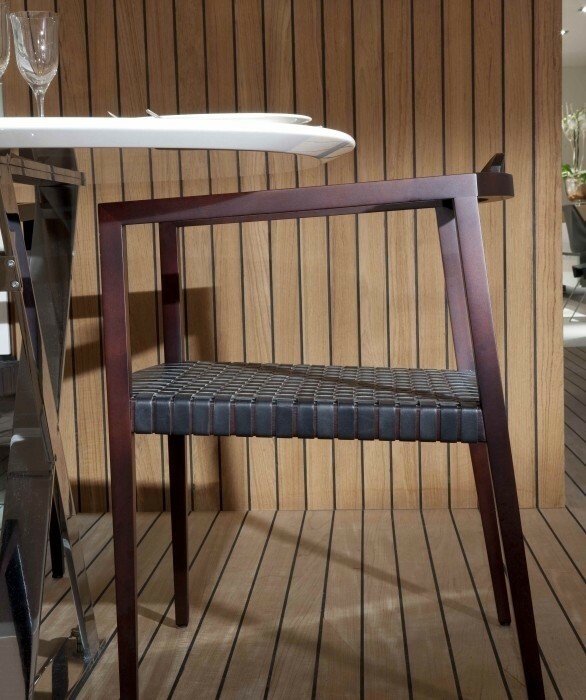 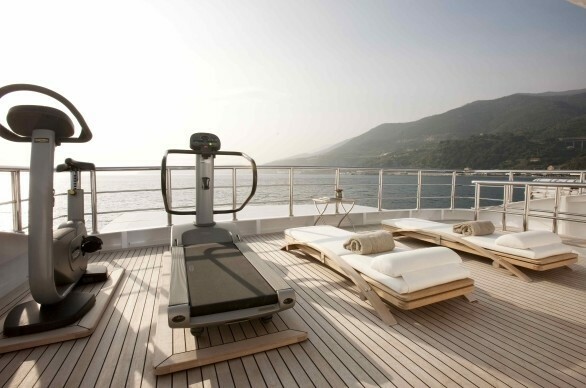 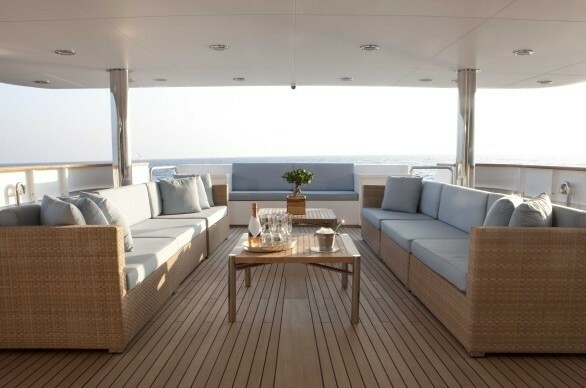 She has a fantastic spacious sundeck with a large alfresco dining table, BBQ, and Spa Pool Pool. 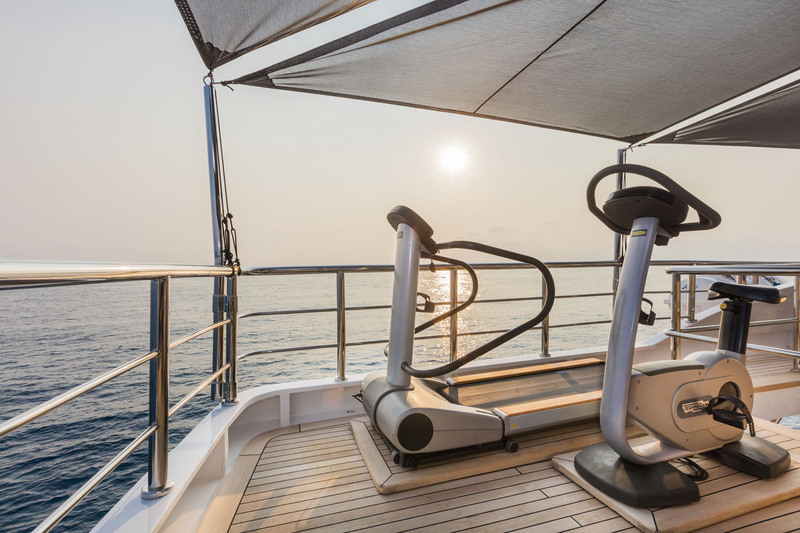 R23 also offers a good selection of water toys, Techno-Gym Equipment. 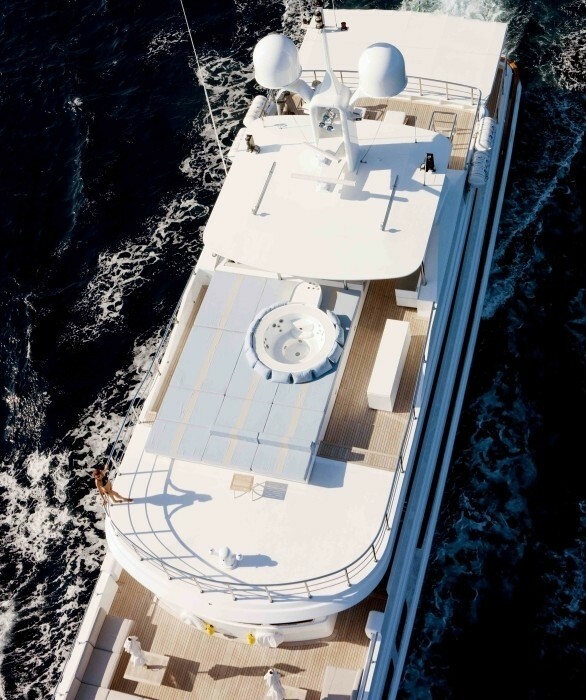 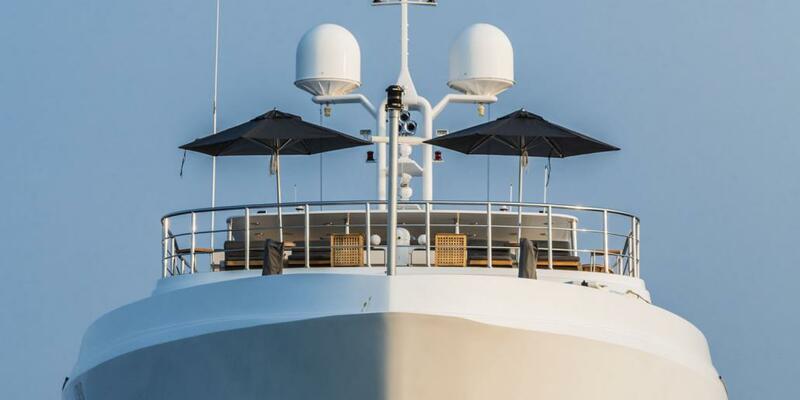 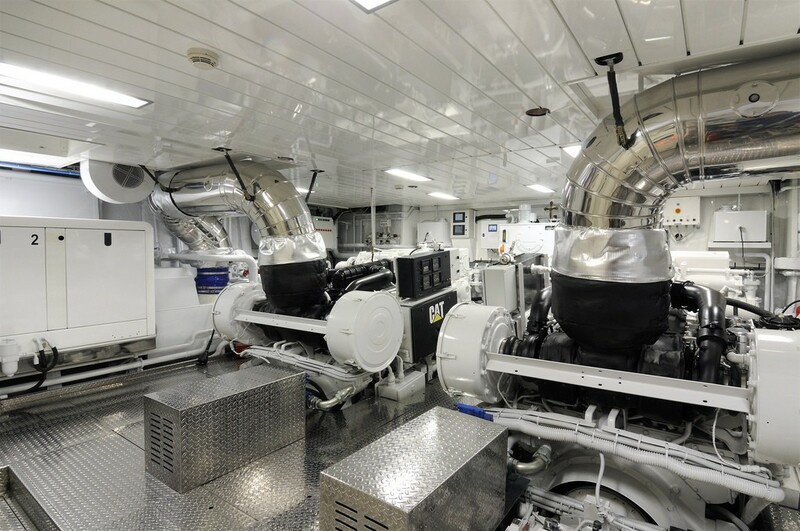 Rodriguez Zero Speed Stabilizers help to reduce ship movement, even while the yacht anchored. 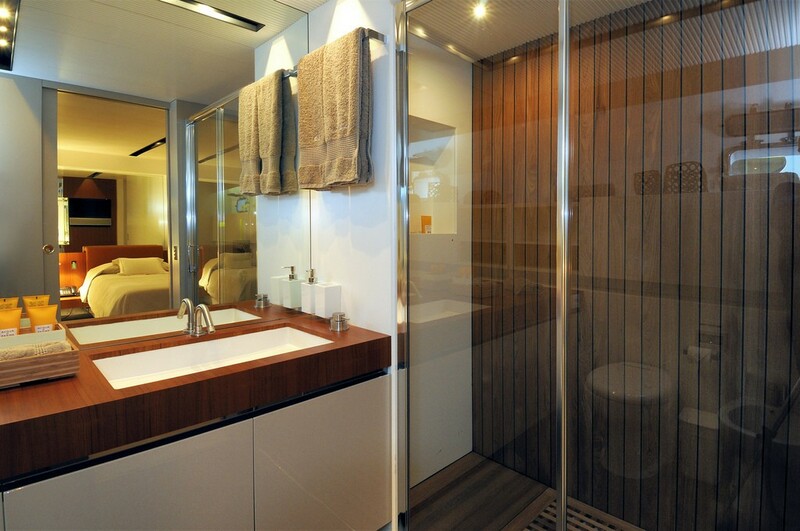 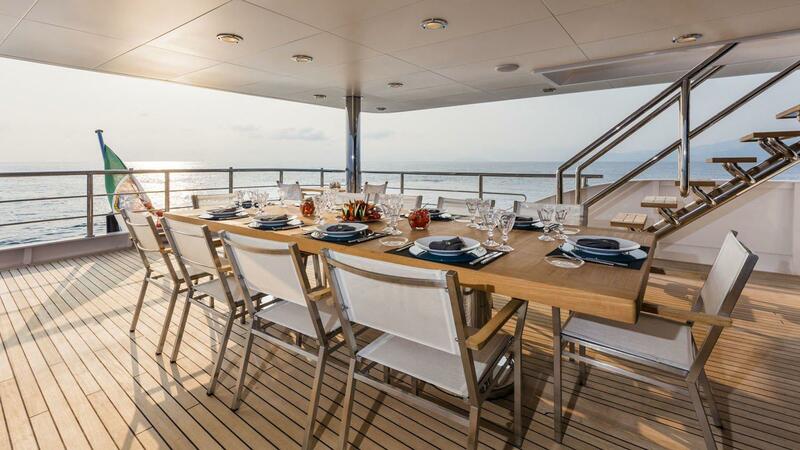 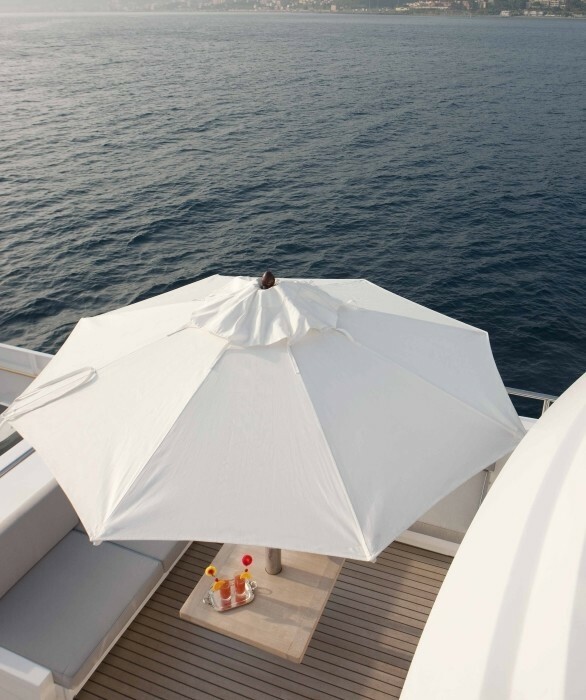 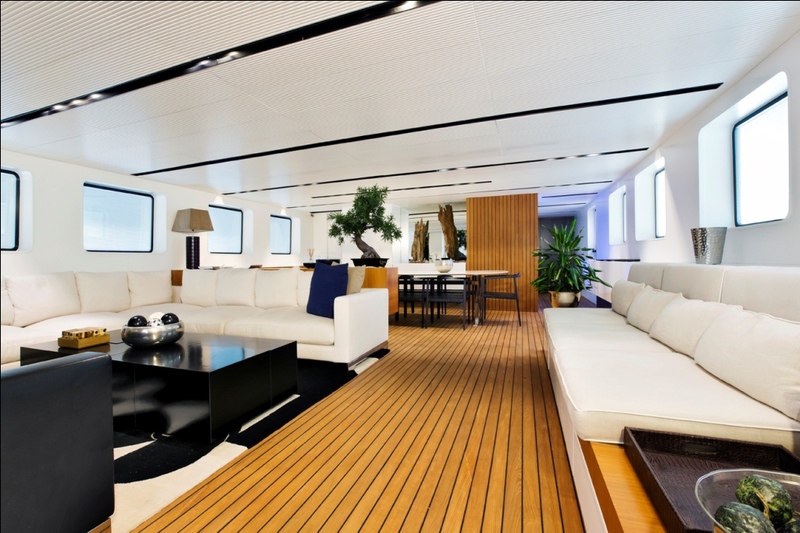 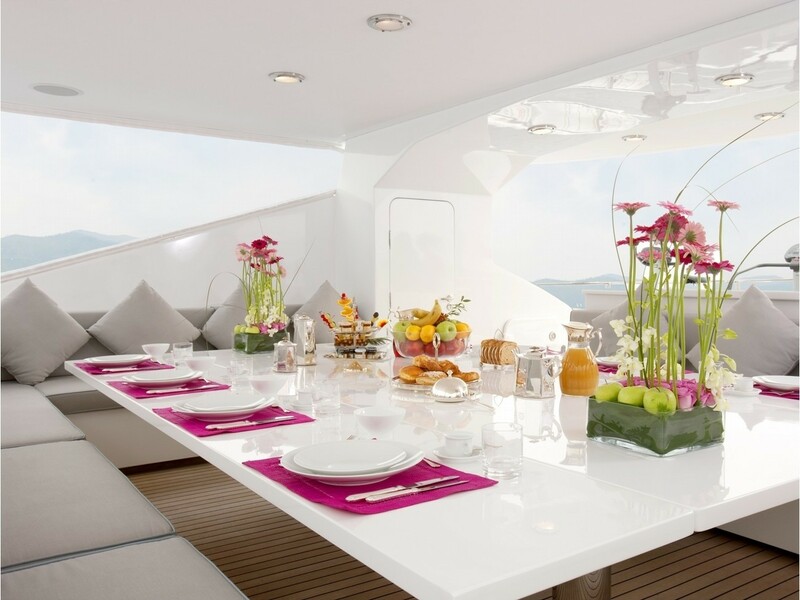 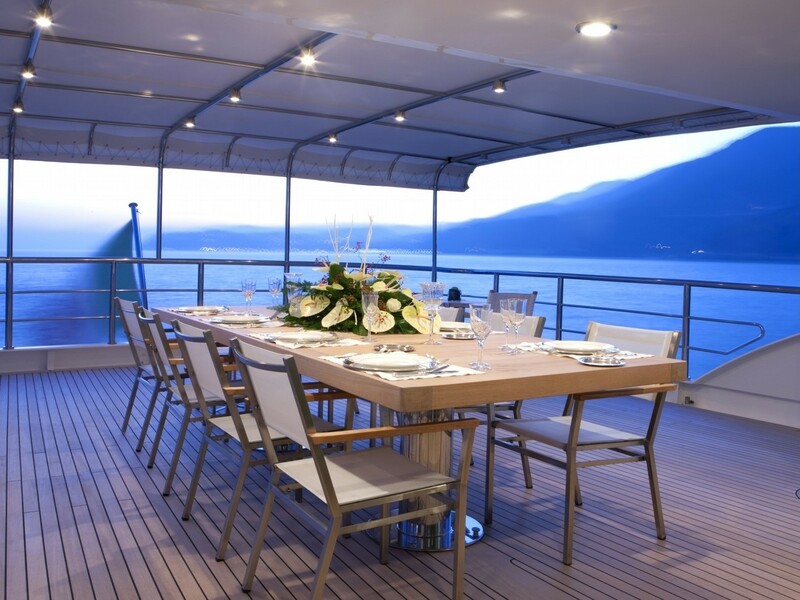 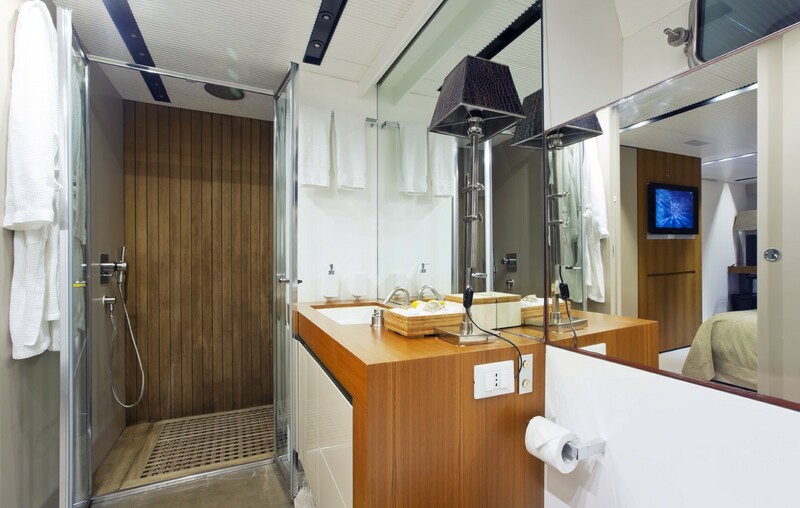 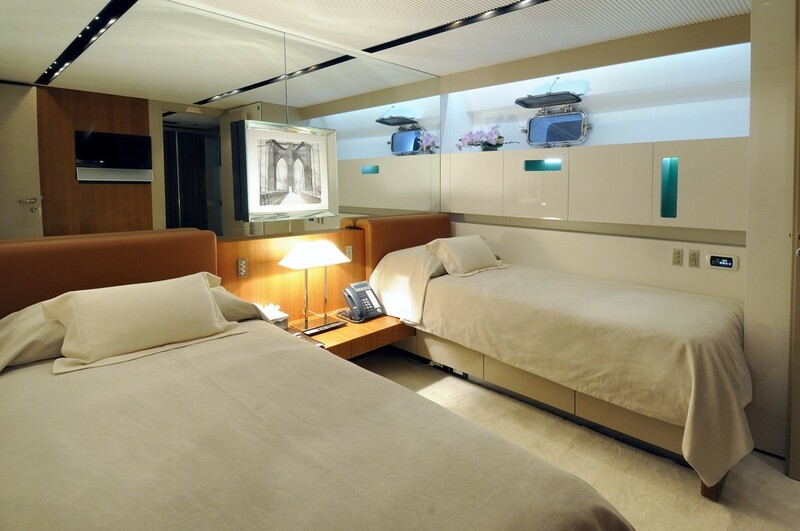 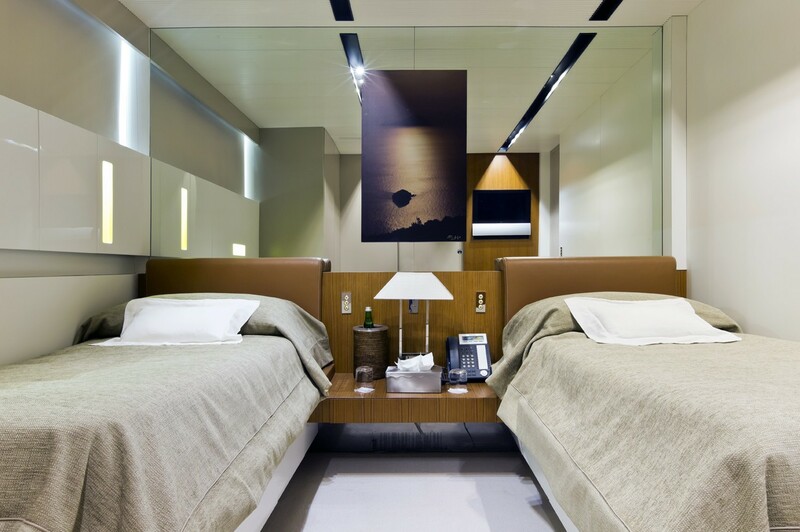 Accommodation on yacht R23 is provided for a maximum of 12 yacht charter guests. 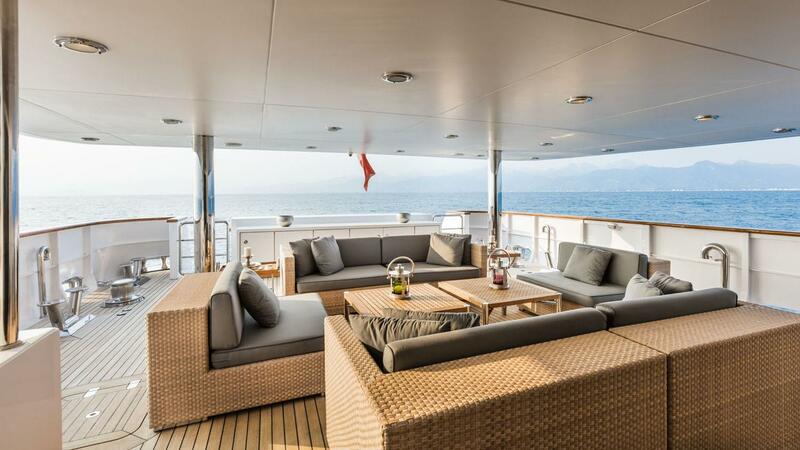 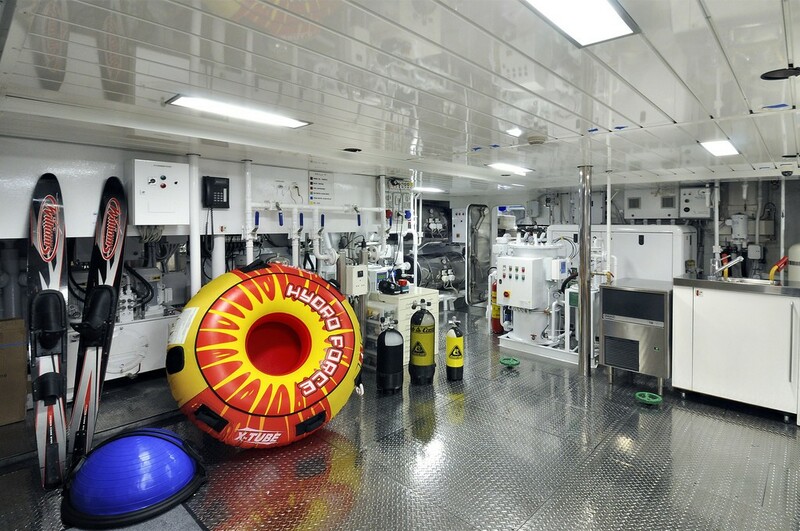 She has a large Master cabin on the main deck and a large VIP cabin with four twin cabins on the lower deck - two of which are convertible. 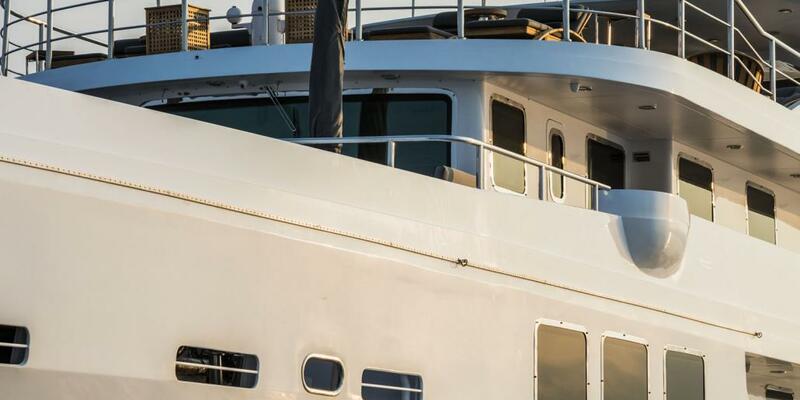 Tenders & Toys: ~ 2 Tender Novamarine 7,50 m Limo 2x 250 Diesel ~ 2x 3 seated jet sky Yamaha VX 1300 cc Sport (Use of personal Water Craft is only permitted subject to the operator having the appropriate license and complying with local operating regulations) ~ Anti-jellyfish net. 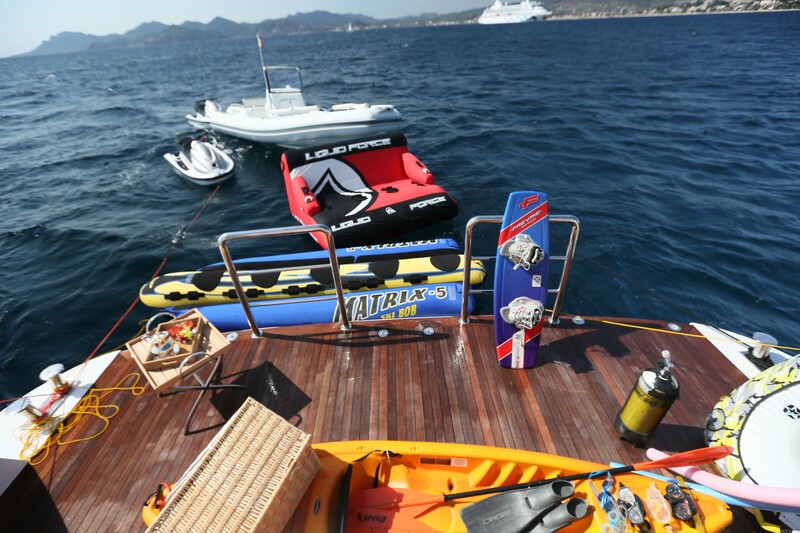 ~ Banana- Donut ~ Water Skis ~ Water sofa 2 Kayaks ~ snorkeling gear ~ Scuba diving. 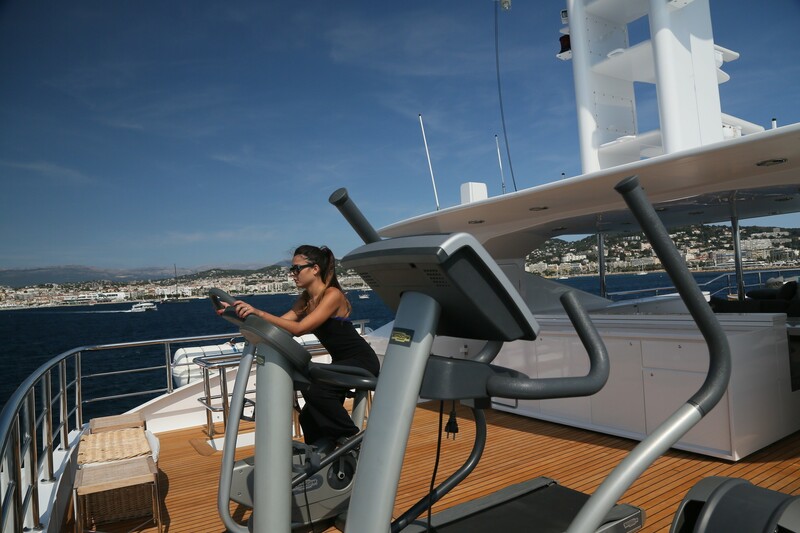 ~ 3x City bikes ~ 1 x Scarabeo Scooter 50 cc (No driver's license required) ~ TechnoGym equipment (running machine, exercise bike, weights) ///Audio Visual Equipment and Deck Facilities: ~ Cinema saloon with Dolby surround system ~ Upper deck whit main tv 75" Samsung, denon sistem for music in air play. 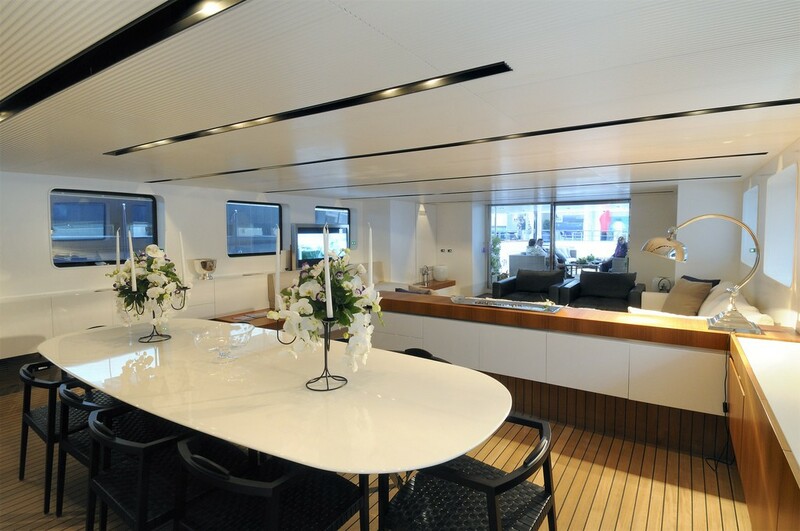 ~ Main deck saloon whit tv Samsung 85" sky. 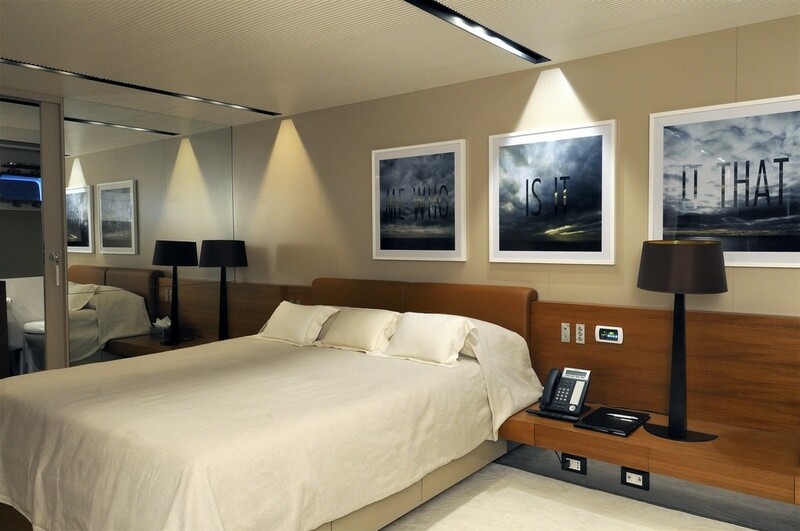 Denon sistem music air play . 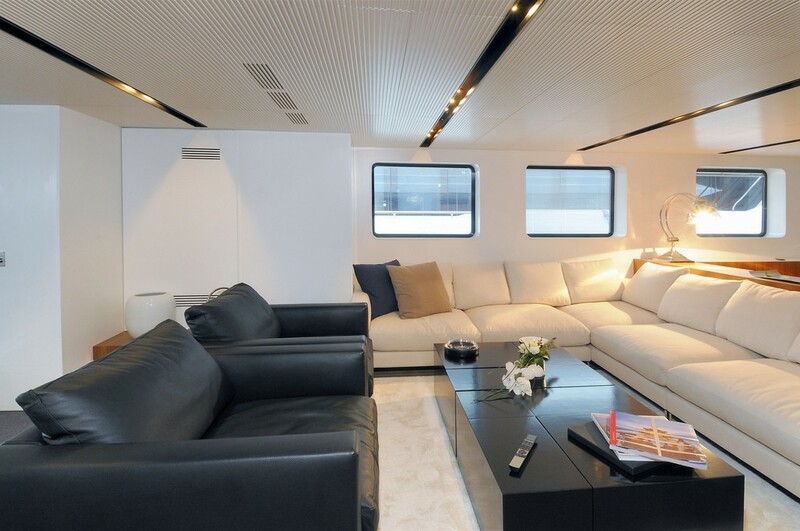 ~ Owner cabin tv Samsung 65" and sky. 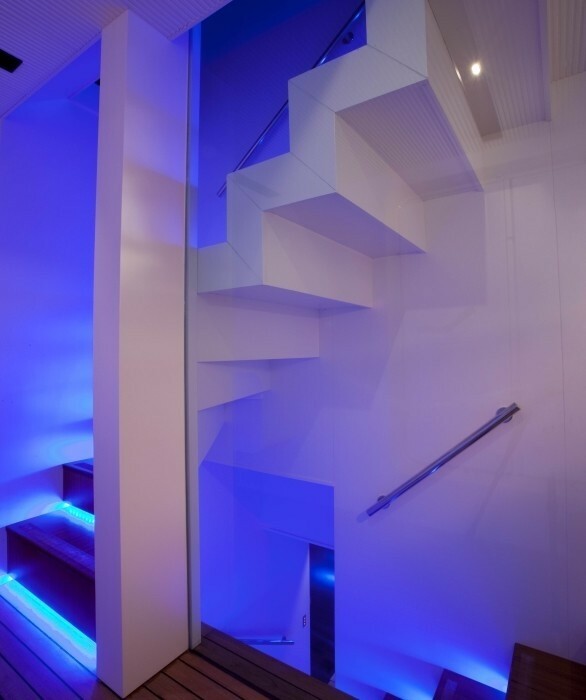 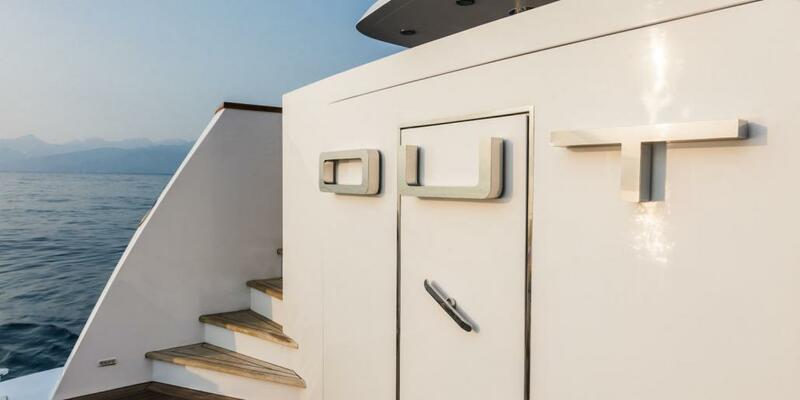 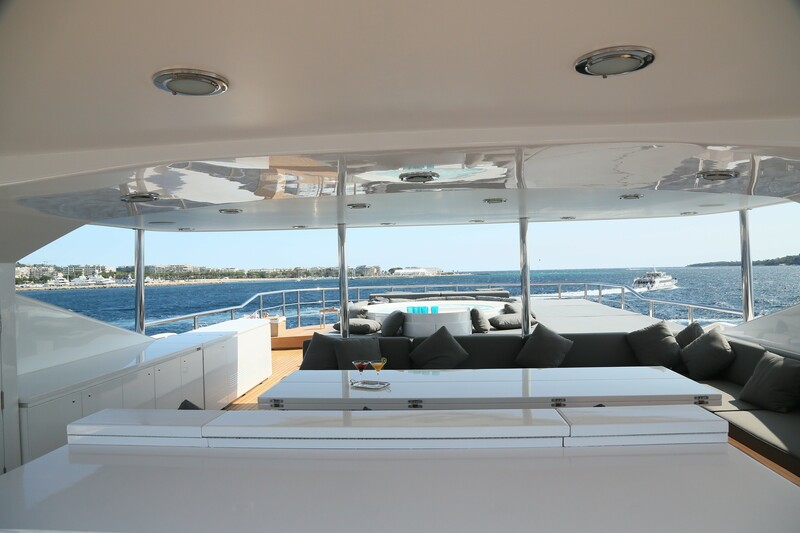 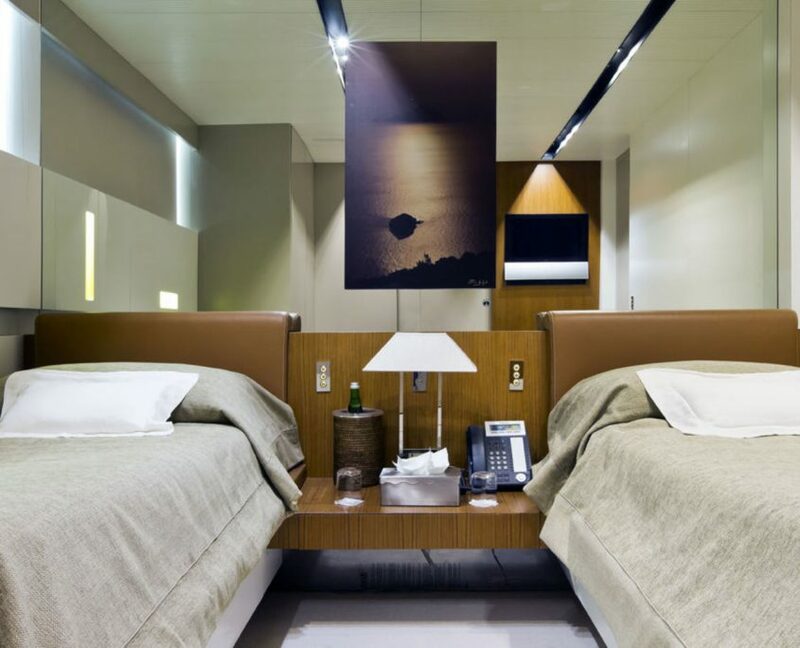 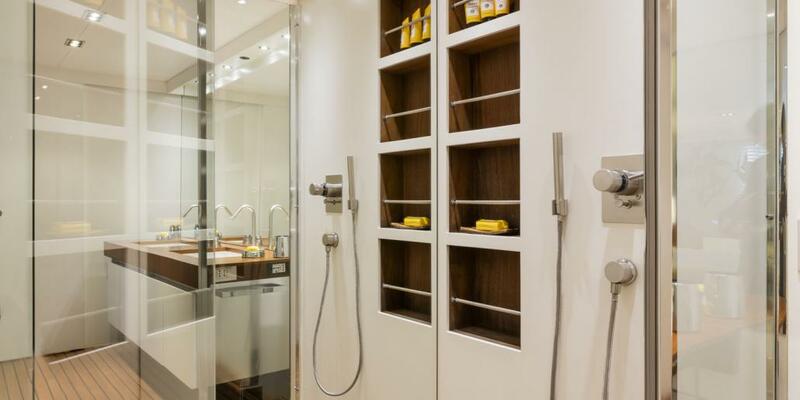 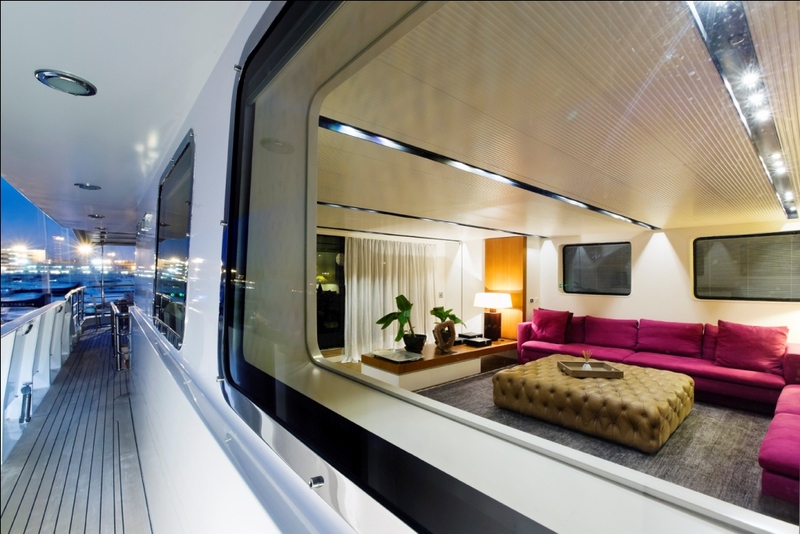 ~ Vip, and guest cabins each cabin with tv Bang & Olufsen and Sky /// Communications: ~ The internet connection on board is in V-Sat (satellite connection) free for our guest. 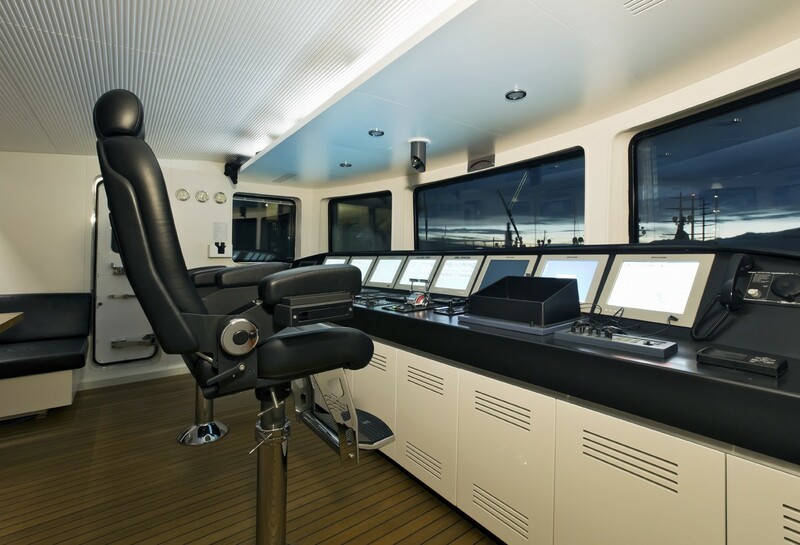 ~ Nav equipped by Furuno, Simrad.